If we’ve learned anything from our modern era, it’s that the smallest changes can be extremely powerful. From DNA molecules to microprocessors, “small” can have a big impact. The same is true of the world’s small island developing states (SIDS), which account for less than 1% of the world’s population. They are also some of the world’s most vulnerable countries to disasters and climate change. Of the countries with the highest disaster losses relative to GDP, two-thirds are small island states, with annual losses between one and nine percent of GDP on average. Even those numbers are misleading, however, since a single disaster can cripple an island’s entire economy. Without tropical cyclones, for instance, Jamaica’s economy could have grown by as much as 4% per year; instead, over the past 40 years, it has grown 0.8% annually. Sometimes, growth is wiped out all at once: When Hurricane Maria struck Dominica last year, it caused damages and losses equivalent to 220% of the country’s GDP. Climate change and sea-level rise will not help the situation. In the Marshall Islands, for instance, the number of people affected by disaster every year may double by the end of the century, and expected annual damages could increase by a factor of three or four. If sea levels rise by just one meter, the Maldives will disappear entirely. But what we learn from these small, remote, highly exposed islands could be useful for millions of people around the world. Though their size makes SIDS vulnerable, it also makes them ideal for piloting comprehensive analytical tools and innovative methodologies that help us understand climate and disaster risks and design resilience strategies. Successful tools and methodologies can later be applied to bigger countries or broader regions with similar challenges, particularly coastal areas. 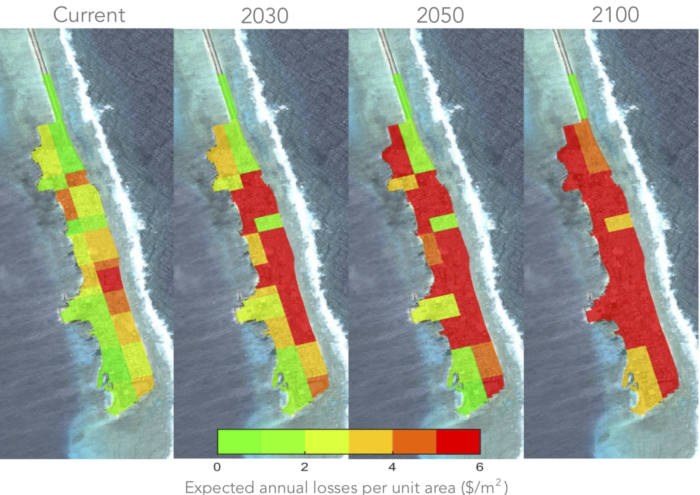 For instance, a local-level, multi-hazard risk assessment on Ebeye Island in the Marshall Islands modelled the impact of flooding, erosion, and sea-level rise across the island. Using an innovative method, it also analyzed the efficacy of intervention options – a method that could be scaled up to other coastal countries. In Tuvalu, which relies on imports, a local-level study is determining the best place to build the country’s first shipping port by analyzing everything from wave patterns to long-term climate outlooks. These techniques, too, have broader applications. 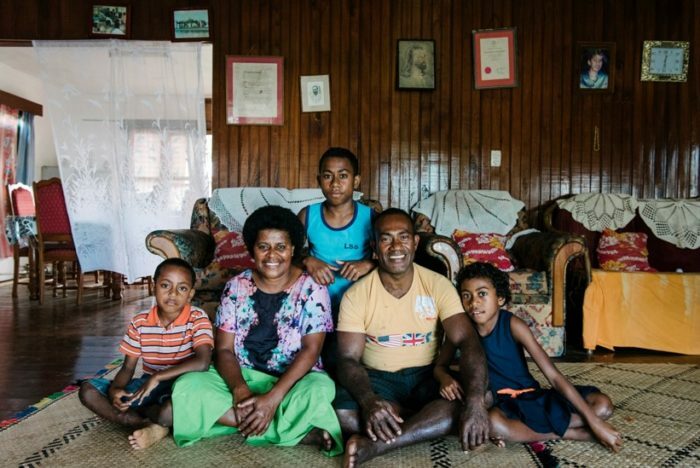 On the national level, a first-of-its-kind Climate Vulnerability Assessment in Fiji piloted a methodology to assess climate and disaster vulnerability, and to design strategies that will help the country adapt to climate change and manage disaster risk. The report, which was supported by the Global Facility for Disaster Reduction and Recovery (GFDRR) and the World Bank, will inform Fiji’s development decisions for the next decade. The assessment took into account not just reduction of economic losses, but also the impact of disasters on people’s wellbeing, and led to a comprehensive, climate-resilient investment plan that covers all economic sectors. Fiji isn’t the only country that can benefit from a risk assessment that helps plan for next 10 years. The team that developed the methodology is modifying it to be replicated in other islands, and applied to larger countries. When complete, it will be an adaptable, flexible methodology that will help governments figure out their current vulnerabilities, the actions they should take to address those vulnerabilities, and their resilience priorities. The experiences of Fiji, the Marshall Islands, and Tuvalu – all of which show how SIDS can serve as the testing ground for bold new ways to analyze disaster and climate risk – will be discussed during the upcoming 2018 Understanding Risk Forum in Mexico City, at a technical session hosted by GFDRR, Deltares, and the European Commission’s Joint Research Centre. The session will showcase methods and results from several recent risk analyses that helped SIDS make informed development and resilience decisions, and discuss how they can be applied around the world. These case studies show how a smart combination of global data, local information, and adaptive approaches can produce powerful tools – tools that generate the vital risk information that allows decision-makers to build their country’s resilience. But above all, they show the rest of the word the value of helping strengthen the resilience of SIDS, the most risk-exposed nations on the planet. Now that’s the power of small. The “Small Islands: Innovations in understanding risk” technical session will take place from 11:15 – 12:45 on May 18, during the 2018 Understanding Risk Forum at the Palacio de Minería in Mexico City.